Italian police on Tuesday arrested the suspected new boss of the Sicilian mafia and 45 associates on the southern island. The dawn raid in Palermo resulted in the arrest of 80-year-old jeweller Settimo Mineo, who was reportedly elected the new head of Cosa Nostra at a meeting in May. 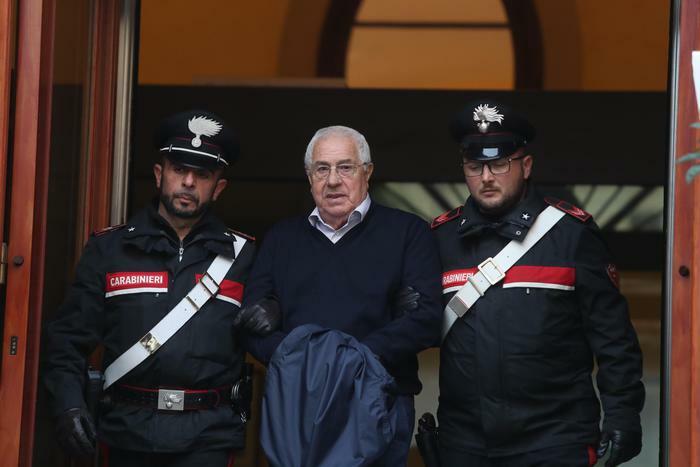 The mob’s previous boss, Salvatore “Toto” Riina, died behind bars last year after spending almost 25 years in prison for ordering numerous murders, including those of famous anti-mafia prosecutors, Giovanni Falcone and Paolo Borsellino. Mineo was sentenced to five years in prison during the so-called “maxi-trial” which ran from 1986 to 1992 and was spearheaded by Falcone and Borsellino. He was arrested again 12 years ago but was released after serving 11 years in prison. Mineo and his associates are accused of extortion, firearms offences, arson and other crimes. Italy’s Interior Minister Matteo Salvini tweeted that it was “an extraordinary intervention” by Italian police. Deputy Prime Minister Luigi Di Maio also celebrated the success of the operation. “There is no more room for this type of scum in Italy,” he wrote on Instagram.